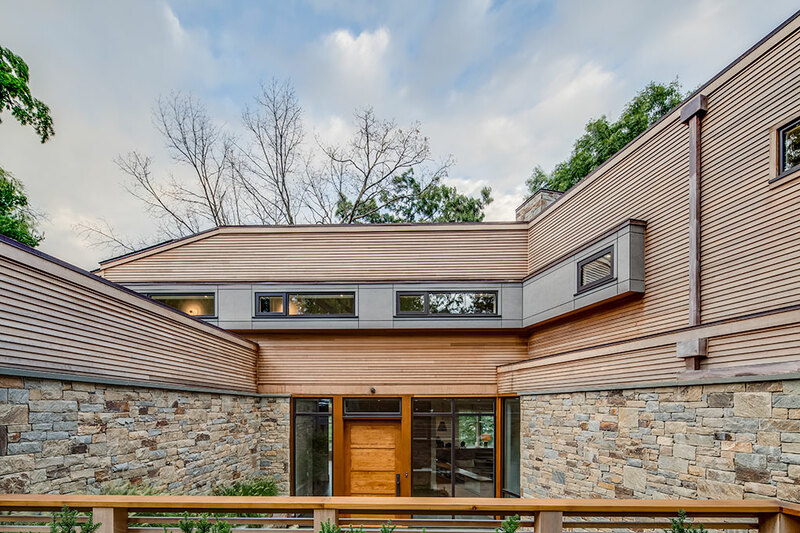 The house makes use of materials unlike most New England Homes. 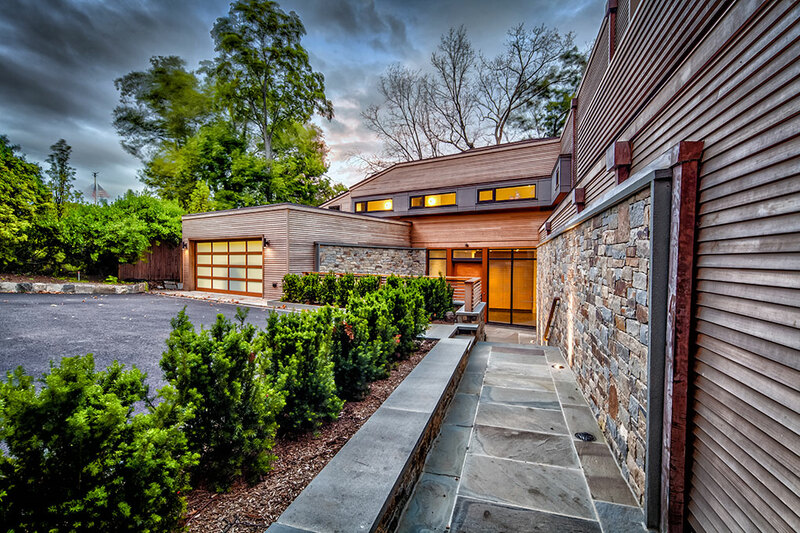 The complexity starts at the exterior, which is comprised of natural cedar siding with a 2-3/4” exposure, treated with a new nano technology coating to preserve the natural finish. This is paired with a cement board panel system set over a rubber membrane. To add to the complexity, the triple glazed doors and windows were shipped from Ireland before the house was even framed. 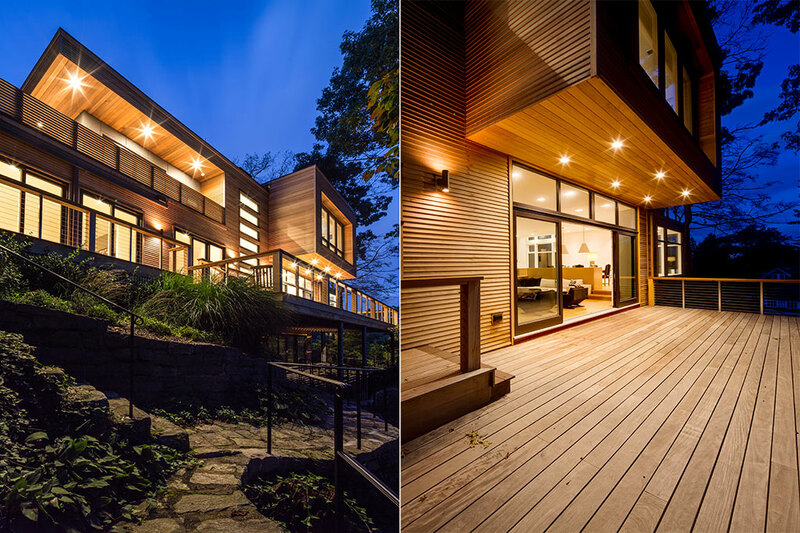 Details were important to the owners, who were now a million dollars short but wanted specific features, such as the upper deck railing constructed of 2X2 cedar slats that needed to be milled on site. 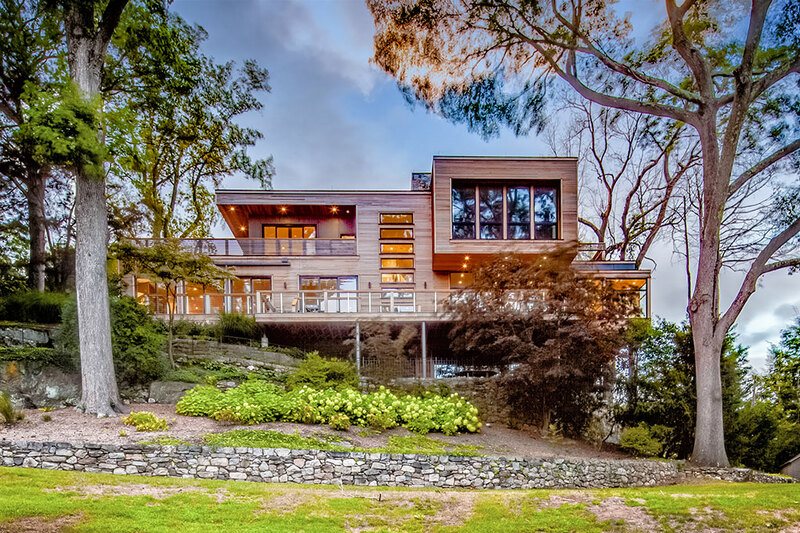 The owner’s wish to have expansive and expensive decks to provide an extension of the inside living space transitioning to the outdoors. 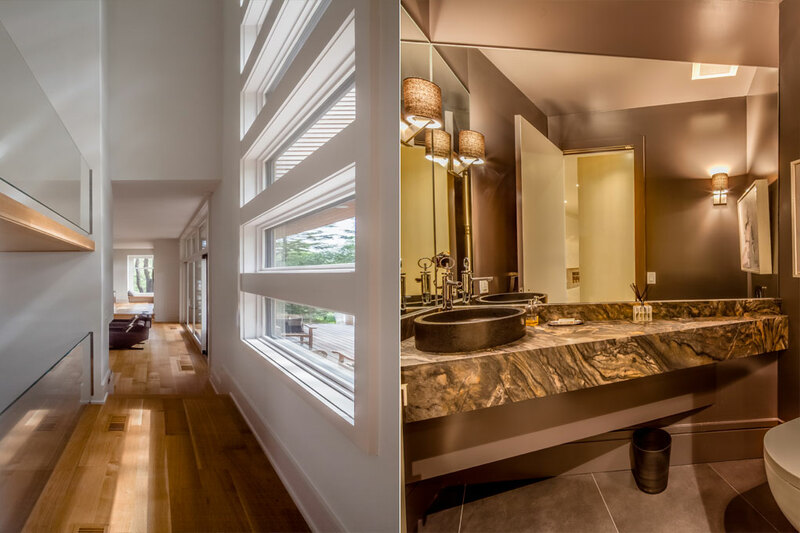 Additionally, the owner’s vision caused the master bath to open onto an exterior deck with a shower and allowed for the creation of a Tiki-bar in the basement. 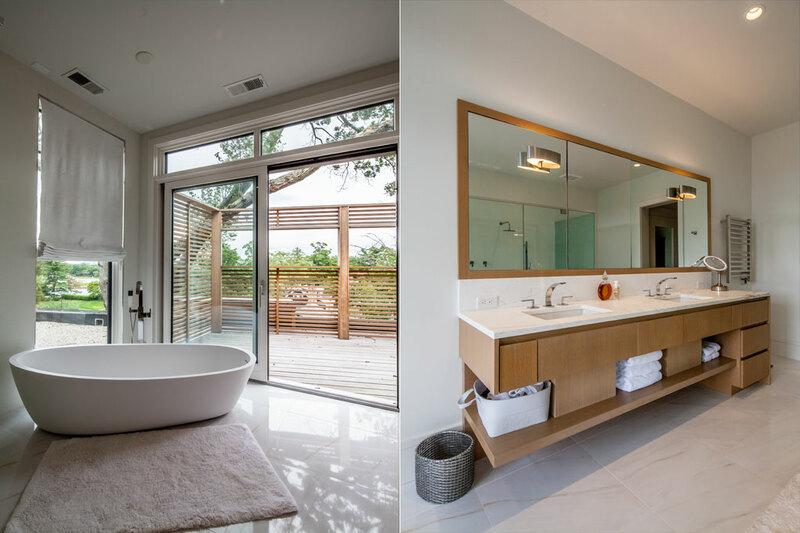 The interior open L-shaped plan with 10’-6” ceilings and 8’ tall doors allows vistas that extend across the entire house. 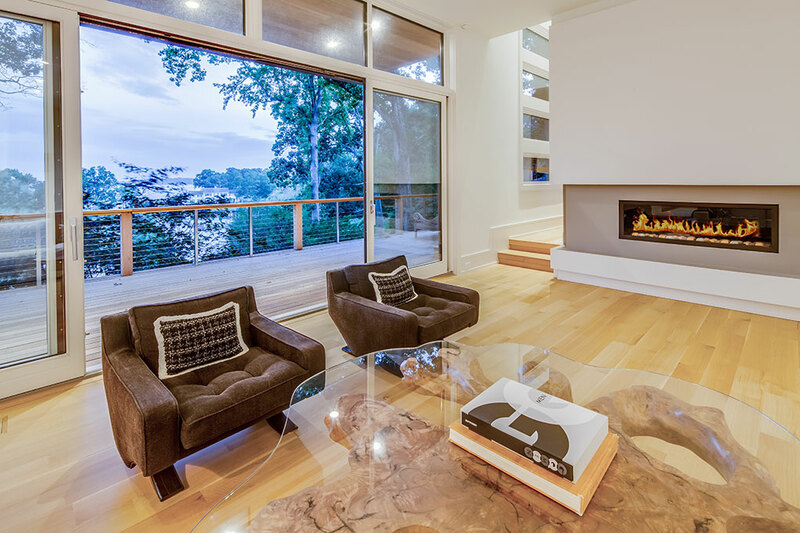 The open stairs, with glass rails attached by stainless steel stand offs, create a clean aesthetic that does not compete with the majestic views to the sound. The massive 4’X8’X2 ¼” front door (including a 30” Rocky Mountain door pull) opens onto the custom fountain in the sunken entry courtyard. 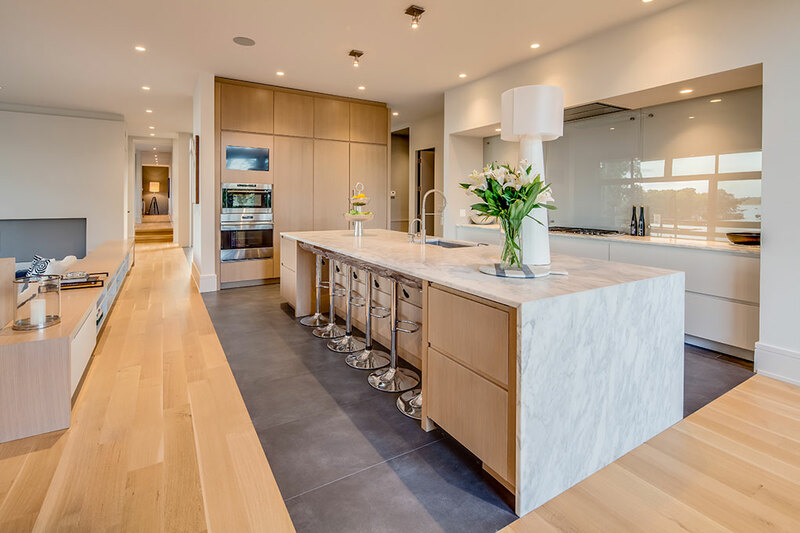 The custom contemporary kitchen by New England Cabinetry includes an island that is 153” long with a waterfall edge. The small everyday appliances are enclosed in hidden cabinets between the refrigerator and the ovens. The built in ovens also house a built in TV while the flush hood over the cooktop and glass backsplash adds to the sleek lines of the kitchen. 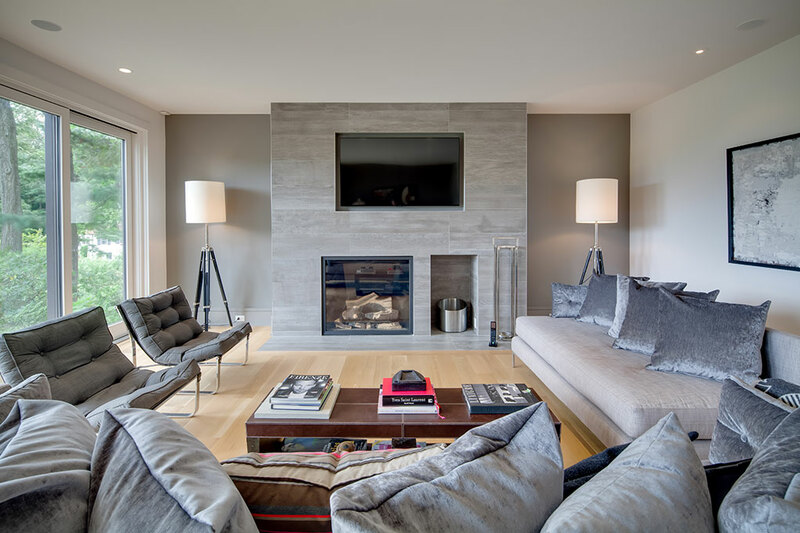 The linear elements of the 54” wide gas fireplace and the credenzas that define the sunken living room accentuate the high ceilings and open space. The long horizontal ribbon windows along the 2nd floor hallway repeat this geometry on the upper level.